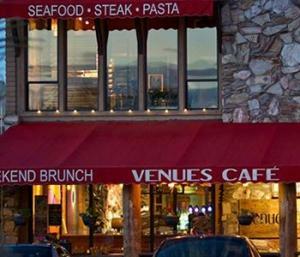 Adjacent to the Sundial and directly across from the picturesque town center park, is Venues Café. 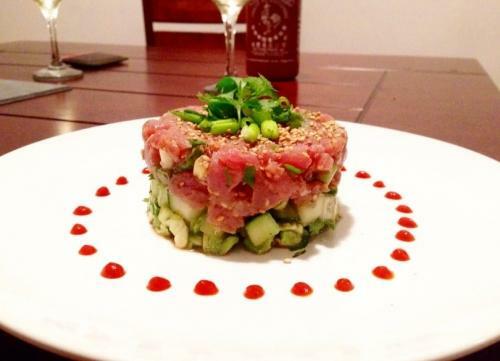 Offering an American Bistro menu with an upscale, yet casual, dining atmosphere. This beautiful building offers the ambiance of multiple textures of brick, copper, wood and stone and invites you to want to settle in and relax. The fireplace is situated next to the well-stocked wine cellar. Venue’s bar is a great place to dine, watch your favorite team play on the multiple TVs over the bar and bask in the shadows of their 30′ natural rock wall. 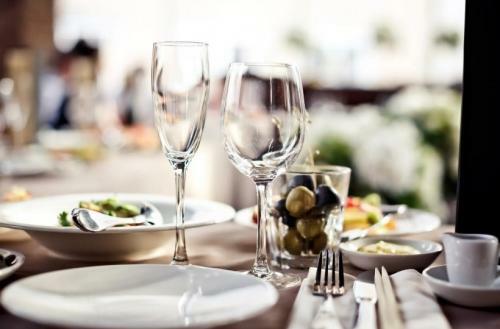 A trusted staple, offering American Comfort Food in Carefree Arizona, from small plates of deviled eggs with bacon jam, Street Tacos, Lolli Pop Lamb Chops, to dinner entrees of Prime Cut Filet Mignon, Seared Salmon and Venues special Chicken Schnitzel with Lingonberries. This restaurant is directly off Cave Creek Rd in Carefree. Monday Night is Burger Night with your choice of an 8 oz Angus burger or House made Turkey Burger, your choice of side and a FREE House wine or Beer. Hearing about events at Venues is easy with our VIP email updates, join today. Conveniently Located Across from the Sanderson Lincoln Pavilion!